Please be advised that the Canada West Mission operations will be closed from December 24 through January 1. This will enable our staff to spend quality time with their family and friends over this festive time of year. If you have an emergency issue arise, please contact Steve Thompson at 780-904-4389. 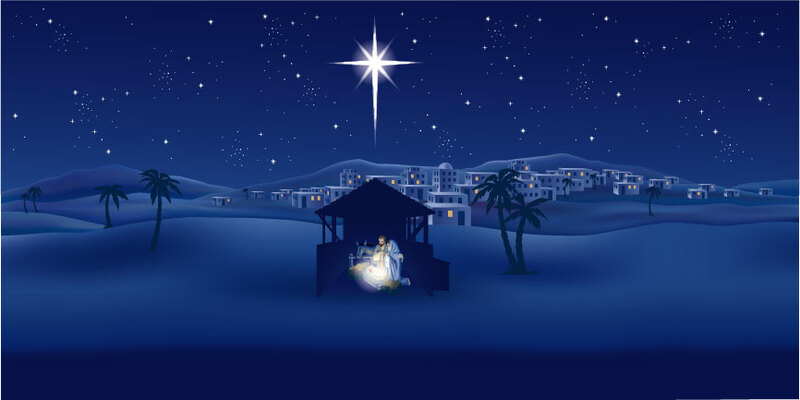 All of the staff at Canada West Mission Centre wish you a peaceful and blessed Christmas season as we celebrate the birth of our Lord and Savior, Jesus Christ. We pray for you, your family, and all of your loved ones God’s blessings, Christ’s peace, and the Spirit’s presence of love, comfort, peace, and joy. Spaces are still open for the New Year! Have you ever thought that you might like to participate in a World Accord Construction Expedition, but just have never got around to it? Or – have you perhaps never even heard about such a thing, but the idea sounds interesting to you? Have you been on one in the past and have thought you would love to go again and catch up with Al Wigood and all his friends? Well, here is your chance to not “think” about it for long, but rather to just dive in and do it! Typically, expeditions include 10 to 12 volunteers. All three expeditions are currently NOT fully subscribed, and the January trip in particular is very short of participants. If you think you want to go – just GO! Contact World Accord as soon as you possibly can. The expeditions are certainly not “free,” but a substantial portion of the fees (not including airfare) are eligible for charitable tax deduction. There will be a Winter Youth Camp in Calgary from February 13 7:30 pm to February 16 noon. The camp is open to all youth eligible to attend CWM Youth camp this summer (entering grades 7-12 in the Fall 2015). More details including the schedule will be provided in January. Chaperones and drivers are needed to provide transportation for the youth from the Regina, Edmonton and Lethbridge congregations (Saskatoon is covered). If you are willing to help, please contact Lisa Neudorf at lisa@communityofchrist.ca or 1-877-411-2632, ext 5. All Priesthood and members of the congregation are invited to participate in the upcoming Ministry Workshop the weekend of January 30-31, 2015. This workshop is one of six being offered within Canada West Mission Centre and will be led by Steve Thompson and Lisa Neudorf. Priesthood are strongly encouraged to attend in Vancouver or one of the upcoming workshops over the next six months. or 1-877-411-2632, ext 5, to register or for more information. Please register early if you would like an ‘E’ Cabin. click above to see it on line and in full color. We’ll be publishing our annual ‘Christmas in Review’ newsletter in January. Please take lots of photos of your Christmas events and services, and send Debra your articles, or blurbs by January 15th! Be a caretaker at Samish! Live and serve in one of the most spectacular places on earth! We are now recruiting for the Manager of Food Service position. Interested? For details, contact: Mark Chapman markatsamish@gmail.com, 360-420-6369. Samish Island Campground Association Board votes to relocate proposed sport court. We heard loud and clear from those who were concerned that the proposed site would impose on the open and natural feel of the campground. After a thorough Board review of options, consensus formed around a placement to the southwest of the Christian Fellowship Centre. A $20,000 challenge grant has already been made to jump start funding. We need to raise an addition $50,000 by January 31 in order to break ground this spring. Send contributions to Dave Skoor, Samish Island Campground Association Treasurer samishcgdave@gmail.com, 425-446-0019. Thank you for sharing! View a summary of the Strategic Planning Survey results. Over 100 event directors, cooks, participants and neighbors shared their ideas and feedback. This will be a valued source of data to inform the Samish Island Campground Association Board as we work towards a refreshed strategic plan to assure a strong future for Camp Samish. For centuries, families throughout much of central Europe have relied on one simple main course for Christmas Eve dinner: the common carp. But getting from river (or carp farm) to table is not so simple. As the tradition goes, the Christmas carp must first swim in the family bathtub for at least a day or two before being killed, cleaned and prepared. I grew up in Maine and Massachusetts and, I will admit — back before my mom decided she couldn't bear dropping a live lobster into a boiling pot — there was more than one occasion in which my siblings and I took the crustaceans out of the bag and attempted to race them across the kitchen floor before they became dinner. But in Slovakia — and other nearby nations, including Poland, the Czech Republic, Austria, Germany and Croatia — the fish actually live in the bathtub for days. Kids name them. People can't bathe. "In my childhood, I remember thinking 'poor carp,' " Bratislava resident Mima Halokova tells me. Others admit to actually letting the fish go free, unable to go through with their plans to transform it into dinner. Carp are bottom feeders. The idea is that a few days swimming in clean water helps to flush mud from the fish's digestive tract. (It would actually take a lot longer than that for this trick to work, fisheries scientist Patrick Cooney tells us. He's tried it.) Some note that the tub time was a practical way to store fresh fish before refrigerators became common. Bathtub carp is one of several traditions tied to Christmas Eve — a day that is the centerpiece of holiday celebrations for Slovaks and some others in central Europe. It is also the day, children are told, when baby Jesus brings a Christmas tree. (This requires some elaborate subterfuge from parents, who must hide and decorate the tree behind closed doors.) Later in the day, the little ones get their gifts. This cashier went out of her way to give a customer the extra boost he needed. Jenny Karpen of Rotterdam, New York, a new employee at Walmart, was working the cash register on a Friday when an elderly man came to her lane to pay for his groceries, according to News10 ABC. The man handed her money for his items, but came up short. "He was like, Is it enough?'" Karpen told News10. "And I was like, 'No, it’s not.' So he was trying to take stuff back." The cashier, fearing that the shopper would be leaving without some necessities, stepped up to help. She took $40 from her own pocket to subsidize his bill, allowing him to leave with everything he planned on purchasing, which included food and pet supplies, News10 reported. “I felt really bad for him. I didn’t want him to go home and not have something that he really needed to eat," she told the outlet. Inspired by her kindness, another shopper in the line offered to give her $40 for her generosity, but the kind cashier declined. The spirit of giving often comes alive during the holiday season. Helen Johnson of Tarrant Alabama was recently caught stealing eggs from a store to feed her grandchildren, who hadn't eaten in two days. In an act of compassion, Officer William Stacy decided against arresting the 47-year-old, and instead bought her the carton of eggs to feed her family.